Working with certificates time to time can be a little difficult, implementations differ and there are more than one certificate “formats”. This is also the case when it comes to importing a “pfx” archive to Cisco Prime Infrastructure (1.x or 2.x). If you search the web you will find a lot topics, but you will have to mix those together to get the job really done. 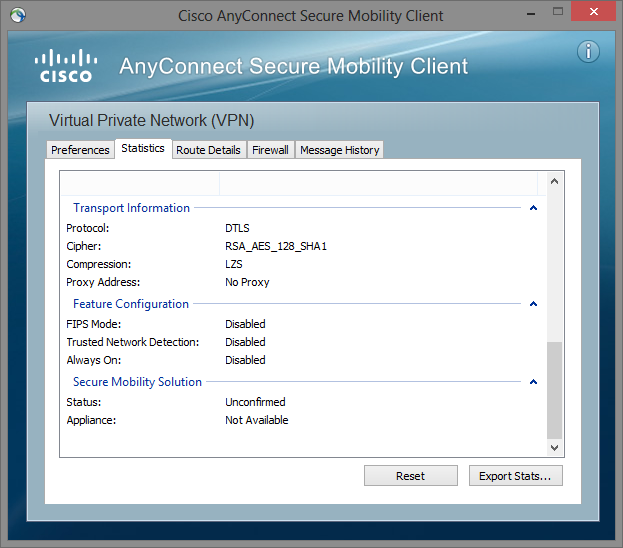 Most Cisco AnyConnect VPN configurations I see in the field, or have deployment myself, are terminated on a Cisco ASA firewall who is directly connected to the internet. However, in some bigger networks it is not uncommon to have another firewall in front of the remote access / VPN block in your network or to have an access-list on the routers in the internet edge. Everybody knows the story about the biggest pro which the Cisco AnyConnect solution has if you compare it to the old IPSEC remote access based solution –> “it just works everywhere™”. That story is based on the fact that in most guest and mobile networks SSL network traffic (TCP/443) is allowed. This is true; AnyConnect will work fine if DNS is working and TCP port 443 is open. 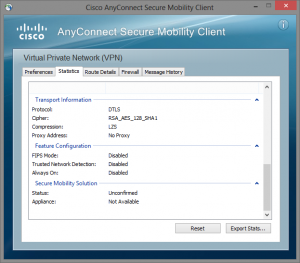 However, AnyConnect will try to use the DTLS protocol first which uses UDP port 443, if it fails than the client will fall back to use SSL for the transport of user data. The reason that AnyConnect prefers DTLS is that DTLS has less delay because of the connectionless nature of UDP and thus performance is better then with a SSL tunnel.